This year.. i had a little special birthday. 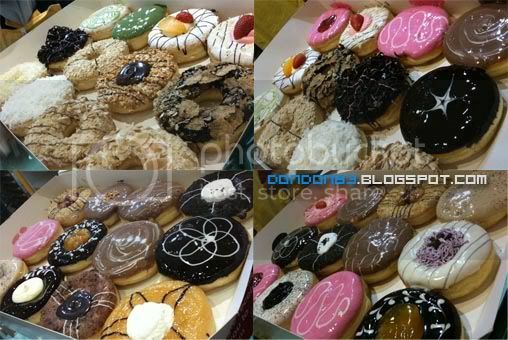 Thanks to Kanasai Groups of peoples.. i got a new name.. :S.. related to this picture... they called m Doughnut Don =_=""
They bought 6 dozen, YES~!!!! SIX DOZEN!! ENAM DOZEN!!! 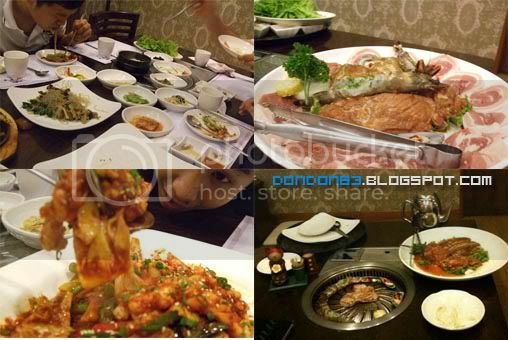 LOK DA!!! Donuts... wondering will the Big Apple staff gone Nuts preparing 6 dozen Doughnut? let's see what KANASAI people do with the SIX DOZEN of Doughnut!.. a surprise celebration for me. with a "HAPPY BDAY" on the table! arranged with Doughnut. 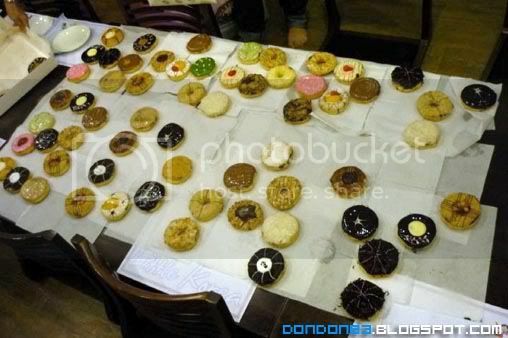 Don'z with the Doughnut'S words on the table.. touching.. creative. 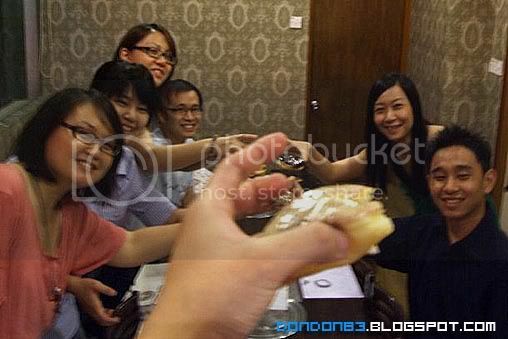 hahaha..
and we cheers with Doughnuts =_=a... luckily no ppl come bottoms up Doughnuts with me. LOL. 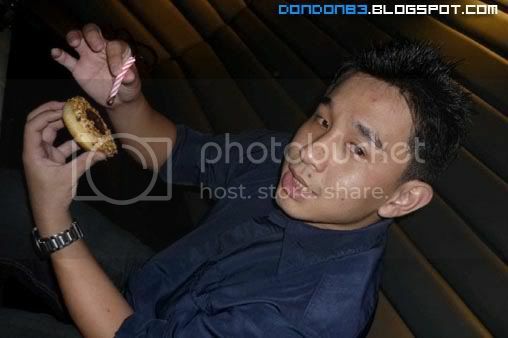 as usual, they WILL have second round.. and then.. here we are.. guess i hurt someone while i a bit weng weng dei :P..
and.... my Birthday Doughnut a.k.a Birthday Cake.. gosh.. 1st time blow candle on Doughnuts. hahhaa. 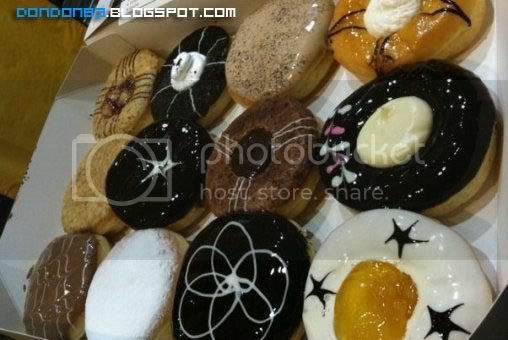 and that's all for my Doughnut CELEBRATION, and after this.. i got a sickness called Doughnut-Phobia. we devided the Donuts everyone, i bring back 2 BOX of Doughnuts home.. Eat and Take . LOL. OMG! 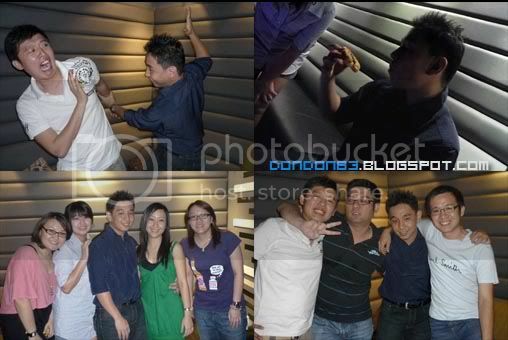 Flooded with donuts dy....hahahhah!